It’s that time of year again. Time to hunker down and watch the Twilight Zone marathon on the SyFy Channel. Or, if you’re impatient, time to get ahead of the curve and binge-watch the entire series on Netflix or Amazon Prime. 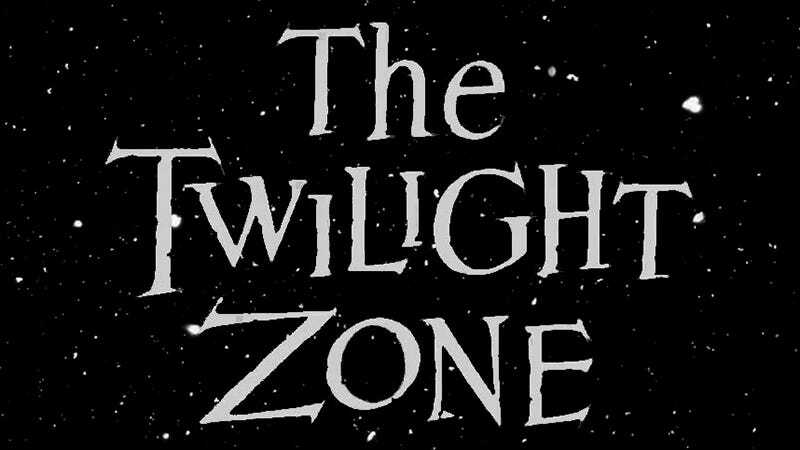 The SyFy Channel has been doing Twilight Zone marathons for years on both New Year’s and the Fourth of July. This year’s summer marathon starts at midnight Eastern time on July 4th and ends at 5am ET on July 5th. It’s a fun tradition, and speaking as someone who’s exasperated with the news in 2017, it’s a great distraction. But you’re also welcome to cheat by watching the show on Netflix, Amazon Prime, or Hulu. Do you have a favorite episode? Let us know in the comments. The one where a magic old man can fulfill wishes during an era before kids were taught not to believe old men who said they could do real magic. The one where a motorcycle gang of maybe-aliens invade a small town. The one where Buster Keaton travels through time using a time-helmet. The one where a 38-year-old toy designer longs for the simplicity of his youth but discovers by way of time travel that romanticizing your childhood is pretty childish. The one where an old man is convinced that once his grandfather clock stops he’ll die. The one where a couple book a cruise on an old ship to try and rekindle their marriage but just as they’re starting to have some fun they slowly discover that they’re not supposed to be on that ship. The one where a group of humans have been stranded on a distant planet for 30 years but when help finally arrives to bring everybody back to Earth the new settlement’s de facto leader can’t deal with giving up his authority. The one where the future is filled with robot boxers but a faulty robot means that a human is going to have to fill in if our hero doesn’t want to lose a bunch of money. The one where Mickey Rooney spends 25 minutes yelling at himself. The one where an elderly couple go shopping for new bodies. The one where the sun won’t rise on a town with an execution that’s scheduled for dawn. The one where a man’s attachment to his dead mother isn’t very good for his relationship with his new wife. The current schedule lists the 4:00pm slot as a “Viewer’s Choice” between either Eye of the Beholder or To Serve Man. I asked SyFy what that means, and they said that they’re no longer doing a Viewer’s Choice. I then asked which episode they were going to air, but they haven’t gotten back to me yet. So 4:00pm is going to be a surprise. Either it’ll be the one where beautiful people learn that they’re super ugly or something. Or it’ll be the one where an alien race lands on Earth to help humans out and nothing else happens and everybody lives happily ever after. I’m pretty sure that’s how those episodes go. This is another case where SyFy was originally going to do a “Viewer’s Choice” but abandoned the idea. So the 4:30pm slot is either going to be the one that clearly inspired Saw but without all the super gross stuff, but it does have a creepy clown so there’s that. Or it’s going to be the one where a rural woman is terrorized by alien invaders that definitely aren’t from Earth. The one where a couple wake up in a strange town and try to figure out what they did last night after partying too hard. The one where a guy kills a kid in a hit-and-run and then his car starts acting super weird.